Contemplation, very simply, is living with awareness and being fully awake to what is happening around us as we live each day. It is to be attentive to the present moment of life as it is unfolding both before us and within us. It is to meet the moment as if we are meeting it for the first time, for, in truth, that is exactly what is happening. We are meeting the present moment as a totally new event. If we assume that every day is a repetition of outer activity, we miss the more subtle things that are happening. If whatever we do is all about ourselves and only what we are thinking and feeling and doing, then we will miss the possibilities of what is going on all around us. If we only listen to the churning thoughts of our rational minds, we will miss the inner truth arising within our hearts. The heart never sleeps. 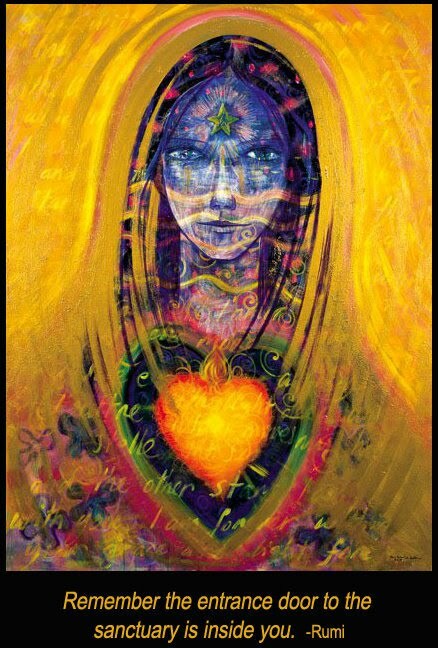 It harbors an inner light, a centering peace, and in a sense, keeps a vigil of love within us. We need to cultivate a sacred attentiveness to our hearts. Contemplation is that deep kind of listening. It is also a way of being open to feel and experience life as fully as possible. Hopefully, we are able to put aside our preconceived ideas, to quiet whatever prejudices we might feel, and to let go of our angers and opinions long enough to meet each moment as a new opportunity to listen, to hear a new perspective, to be open to new meaning beyond what we already know and feel. We give presence to the day, to the people we meet, and when we do this, we are much more likely to discover who they really are, and to hear what they are really feeling. We become better listeners to whatever it is they have to share with us. The same is true in listening to ourselves. We may be content with what we believe, but life invites us to new levels of belief and deepens our feelings at every turn. We learn the generosity of God in developing our inclusiveness to be present to what others feel as well as ourselves. Contemplation is a deepening of this grace. 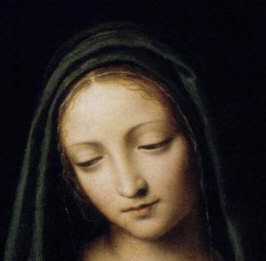 In holy scripture, when something significant was happening and there were many reactions of those around the event, it is said of Mary, the mother of Jesus, “that she pondered all these things in her heart.” (Luke 2:19) To many, Mary is the ultimate contemplative. She is the model for those who form groups for the purpose of meditating on the deeper messages of the holy scriptures. Instead of reacting emotionally to the moment, Mary quietly observed what was happening, listened closely to what was said, and she pondered and explored the deeper meaning of them all in her heart. She considered them with love. This is the beauty of contemplation for me. When we bring the presence of love to life’s experiences and to the people in our lives, we begin to recognize how transforming the energy of love can be in the way we treat others. There is a story in the chapter of Luke of Mary of Bethany and her sister, Martha. Jesus comes to visit their home, and as they are preparing the meal, the guests are gathered around Jesus listening to him. Martha is busy with the food and preparations, and Mary, her sister, sits at the feet of Jesus, listening attentively to everything he is saying. Martha grows more and more upset and complains to Jesus that Mary is not helping her. In that time and culture and tradition, it is expected that the women do the work to prepare the meals. Jesus answers her by saying, "Martha, Martha, you are worried and upset about many things, but only one thing is needed. Mary has chosen what is better, and it will not be taken away from her." He defends her choice to listen to his teachings. Contemplation extends beyond the boundaries of religion and its rules and laws in the sense that it balances the inner experiences with the outer ones. It brings a focus to what is happening within us as well as how we are behaving on the outside. When Jesus remarks that the “kingdom is within you,” it is a reminder to be aware of the whispering of love within us. When we are quiet, we can be more attentive to what we are feeling and hearing. All traditions speak to the richness of silence as a place where we meet the Beloved. We can best hear the voice of God in the silence, when it comes to us in listening prayer, no matter what faith we practice. The mystics are fond of telling us to be silent, when there is something important to hear beyond the words in their writings. We are to be present to the dawn, to be fully awake to the moment when love arrives. These are transforming moments. We listen and behold with wonder. We honor the moment with reverence and attentiveness. Thomas Merton has written countless books on contemplation, and I personally have worn through two copies of his early work, New Seeds of Contemplation. It is a well known and often quoted source of the beginnings of contemplation into the orders of the church. 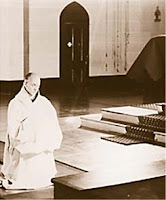 Merton lived in a hermitage near the monastery where he was a Trappist monk, and he wrote of the presence of God arising in all the moments of his days at Gethsemane as beautifully as anyone. He was present to the rhythms of the rituals, of the mass, of the hills and fields where he roamed. He was present to his brothers in the monastery and to the many people who came to visit him. We learn this kind of presence from our Creator who is ever present to us, and we respond by watching and waiting and listening to be aware of the infinite ways God is revealing His Love for us in this life, sometimes through others, sometimes through Nature, sometimes through worship and praise, and sometimes directly. It is deeply rewarding to awaken to the beauty of divine love and energy that suddenly breaks free in a shower of light or in a moment when we realize that what just happened was a ray of divine light from beyond our knowing. Contemplation invites our vigil to this holy presence both within ourselves, in others, and in the world around us. Each of us could describe a moment when some experience lifts us into a new way of seeing, a moment of private revelation, where we might even use the expression, that we see the light. We experience life in a new way. We become like a new person. Contemplation invites our fullest attention to these moments, so we will not miss the nearness of that pure love that gives life its deepest meaning. If one strives to fix one's love on God while forgetting all else, which is the work of contemplation, the grace of God will bring one to an intimate experience of God. This is what you do. Lift up your heart to the Lord with a gentle stirring of love, desiring God for God's own sake, and not for God's gifts. Thoughts cannot comprehend God. Though we cannot know Him, we certainly can love Him. Beat upon the thick cloud of unknowing with the dart of your loving desire and do not cease, come what may.